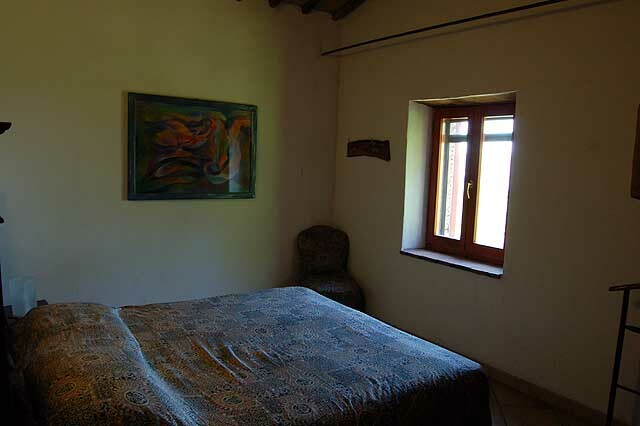 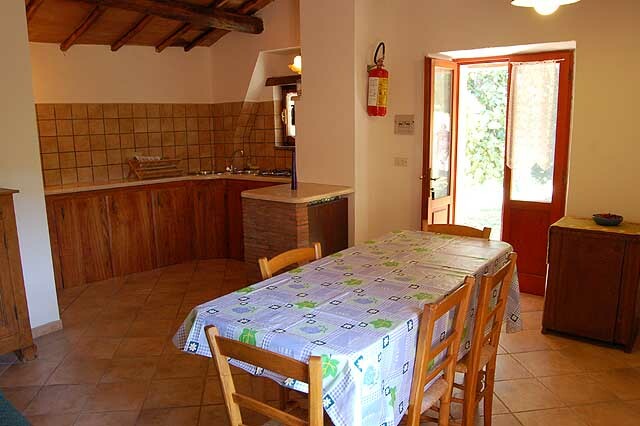 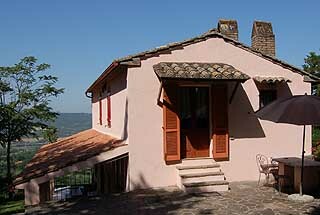 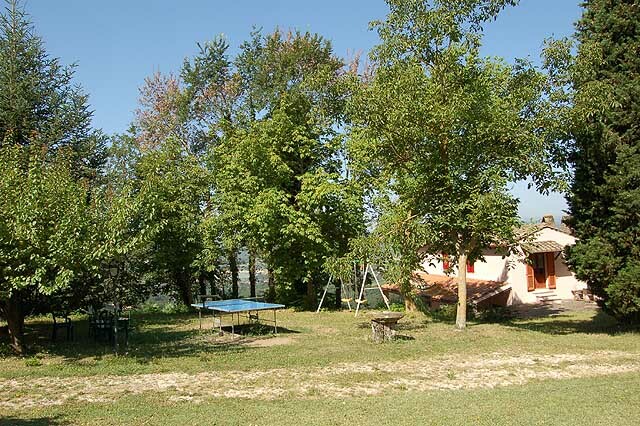 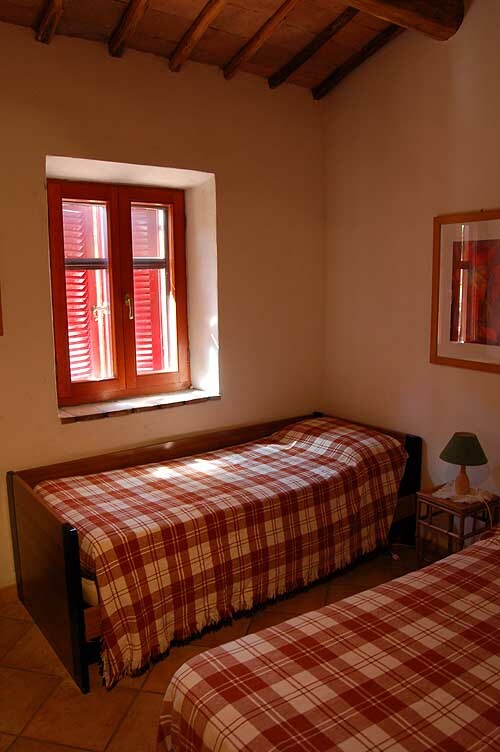 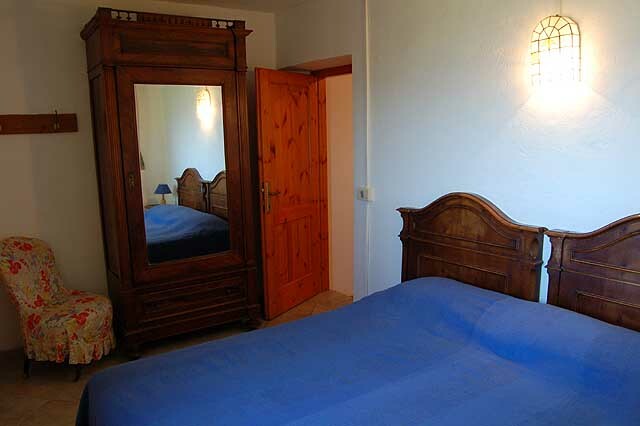 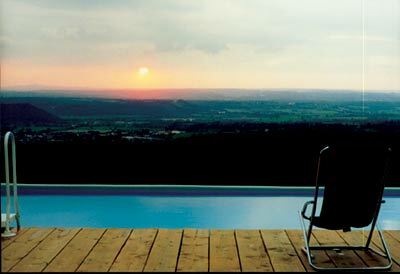 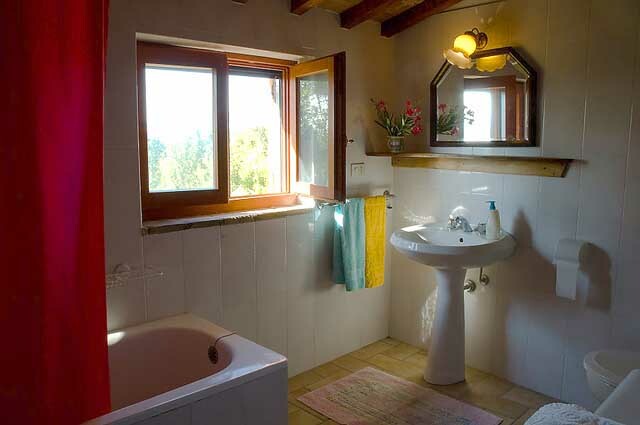 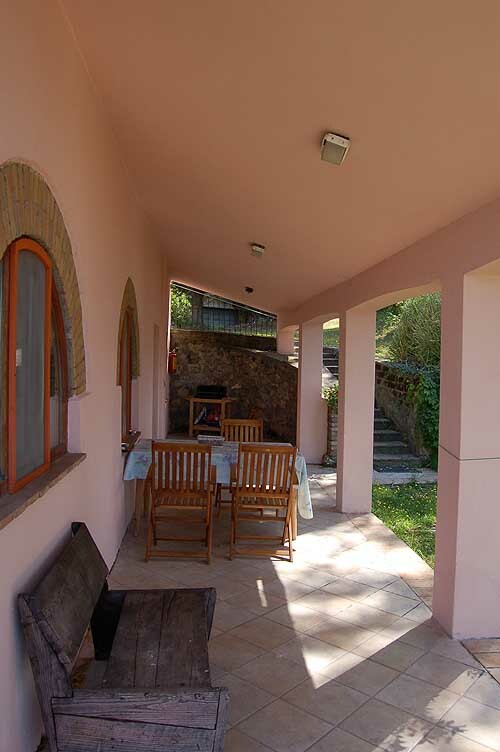 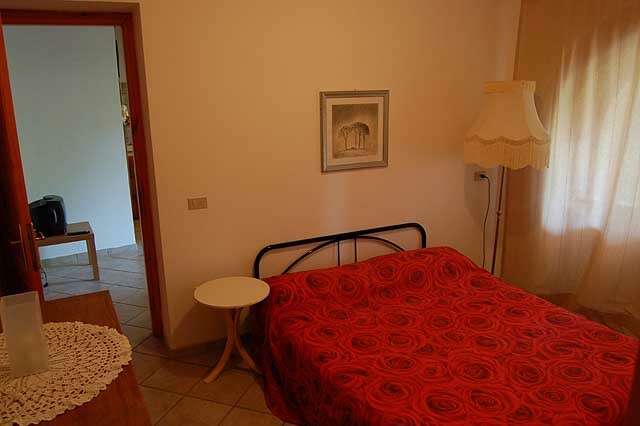 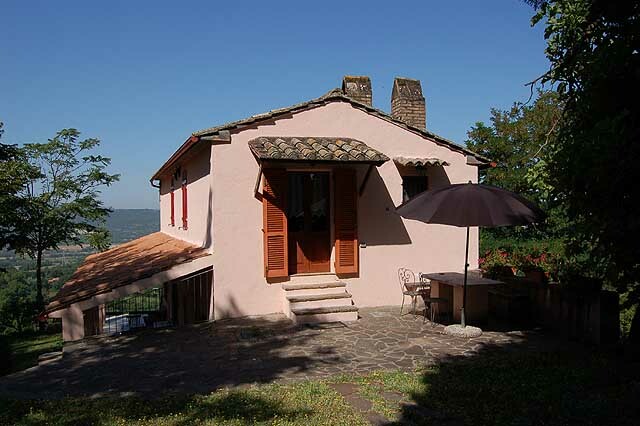 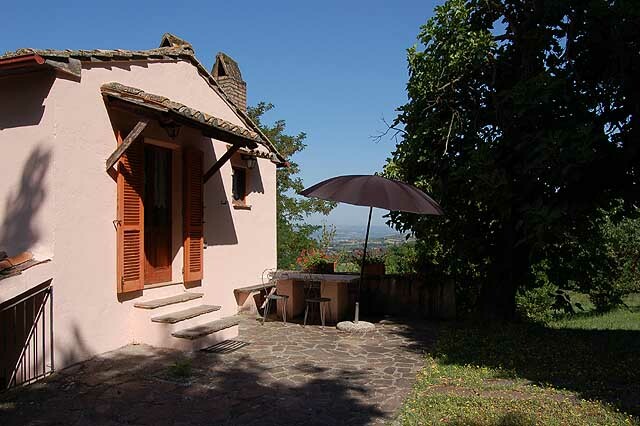 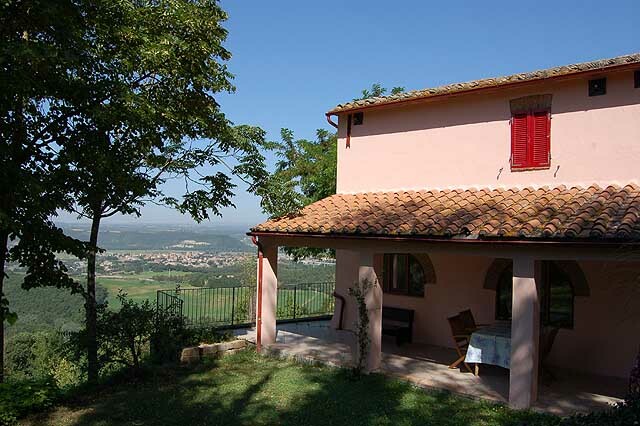 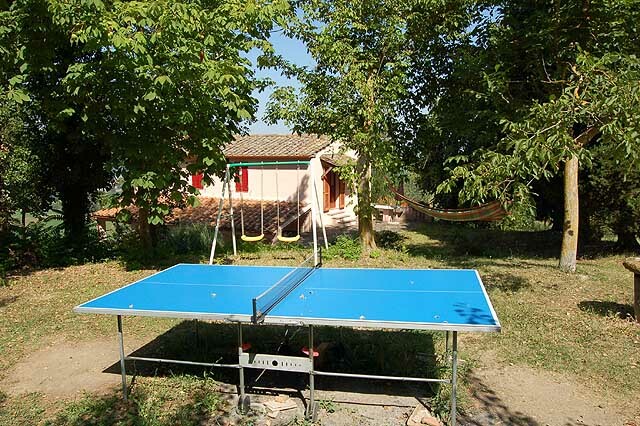 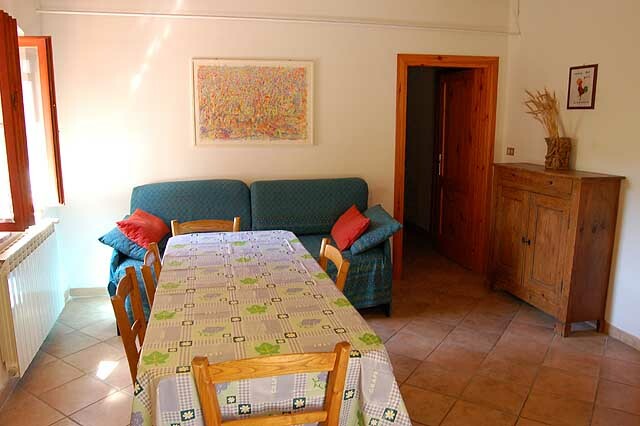 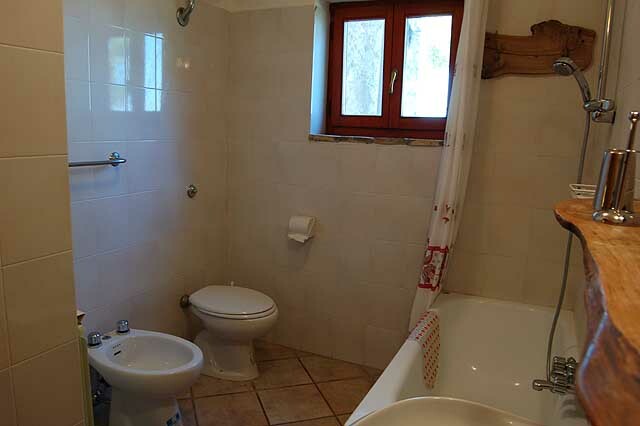 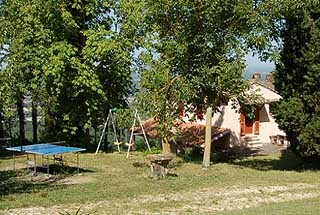 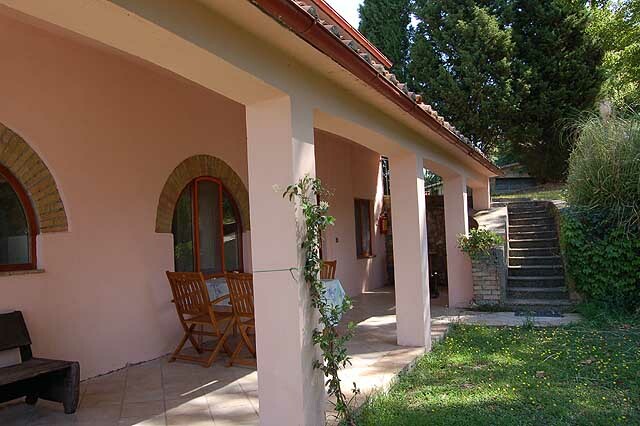 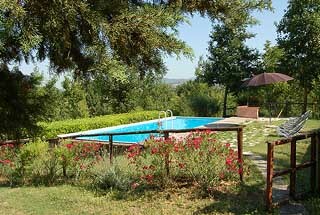 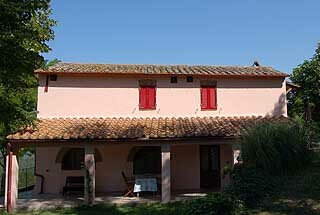 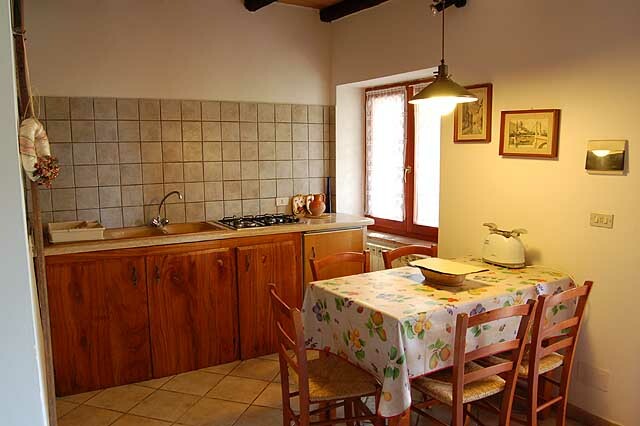 Verde is a typical early nineteenth century farmhouse overlooking the stunning Tevere valley. 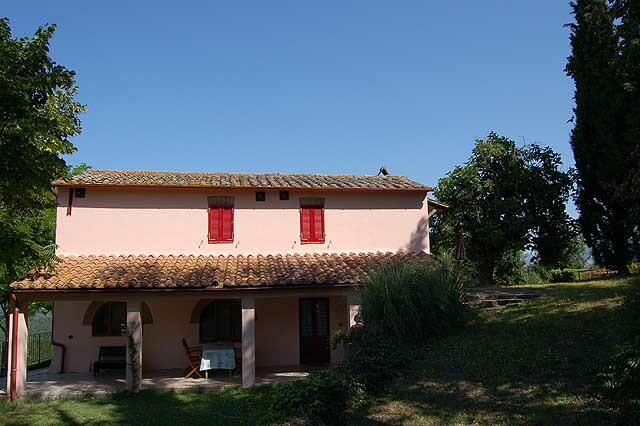 Recently restored, the farmhouse has been converted into two independent apartments that retain the original architectural style and taste in furnishing each with its own spacious outdoor area. 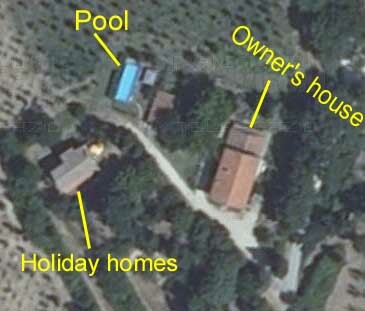 The owners who live in the adjacent house (20 meters distance) are completely at guests' disposal but in the meantime leave them totally free to enjoy their own privacy. 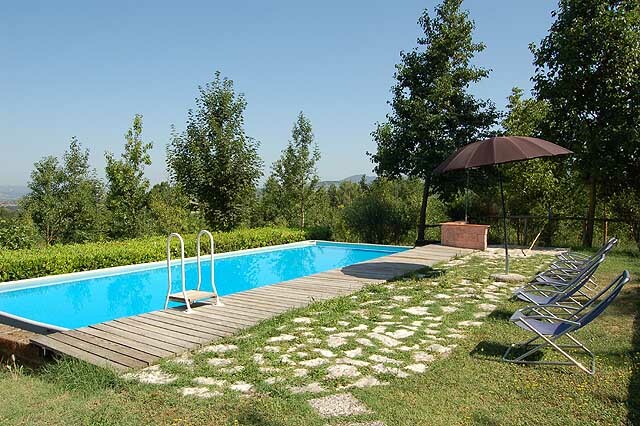 Set in six hectares of grounds with views over surrounding hills, Verde is, above all, a place to relax and unwind. 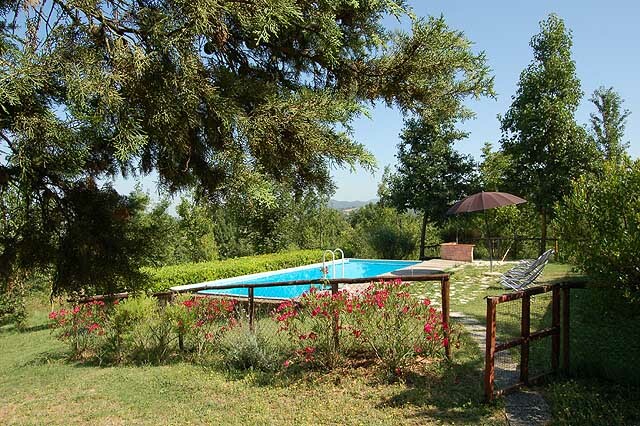 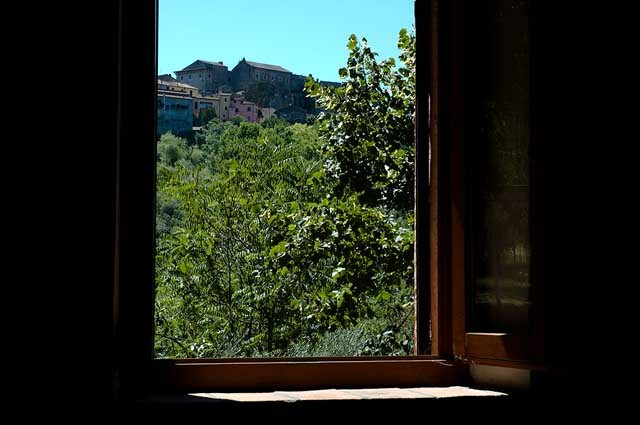 Located 300 metres from the village of Giove with its historic centre and imposing ducal castle, it is an ideal base to visit many places of historic and artistic interest in Umbria, Lazio and Tuscany. There are various food shops and clothing stores in the town of Giove as well as restaurants and pizzerias. 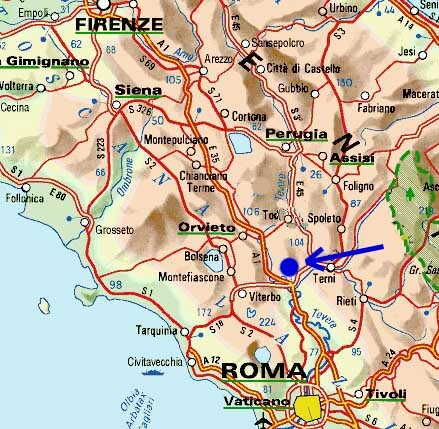 The nearby train station and motorway exit (6 kms from the property) makes day/half day trips easier.